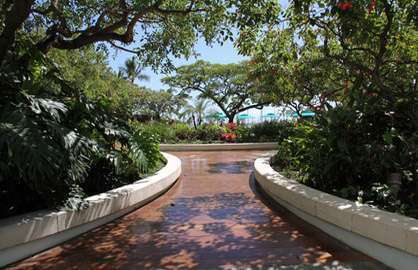 This is the best priced Ilikai 2 bedroom condo on the ocean side overlooking the beautiful ocean and lagoon. 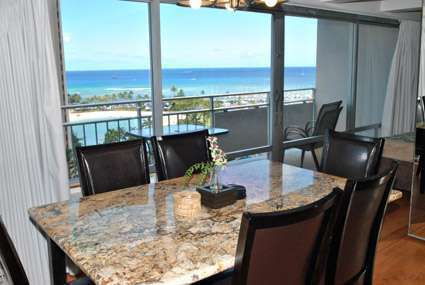 Watch the surfers directly in front of you and enjoy beautiful ocean views from either of the two large lanai's the unit has. This unit has a King bed in the master bedroom, one double bed and one twin bed in the second bedroom and a queen size sofa bed in the living room. 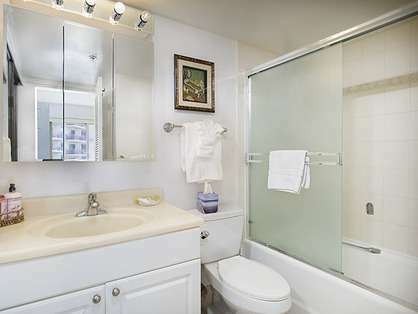 The master bathroom has shower/bathtub combination and the guest bathroom has a walking shower. 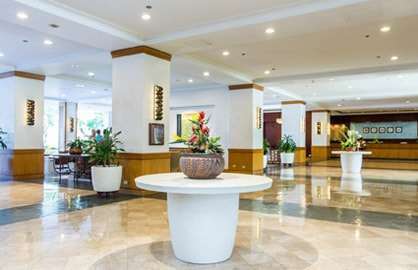 The unit comes with a full kitchen with dishwasher, AC, cable TV, free wifi internet and free calls to USA and Canada. 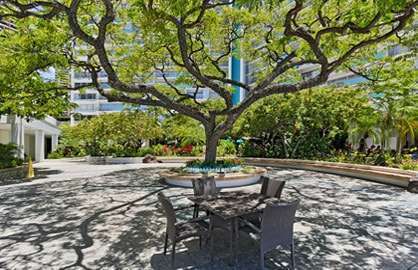 Don't miss out on this unit, you can book this unit instantly online on June 22th by clicking on the book now button when it shows up indicating its live and ready to accept bookings. 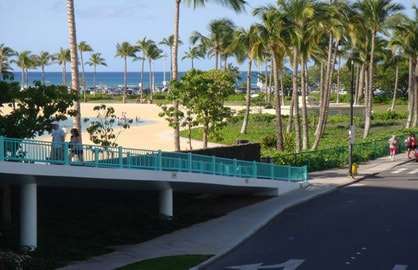 Ilikai 1126 - Unit 1126 is a high unit and great views and for the price we paid quite reasonable. 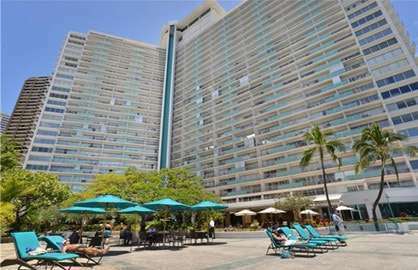 Good pool area and great location and just to the side of the Hilton and 100mtrs to the beach. 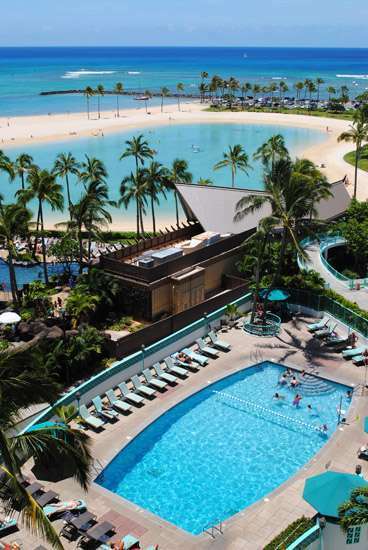 The bar and restaurant are OK not great but in Waikiki you have heaps of choices. 2 good bedrooms so it is great if you have 4 people, 2 couples or 2 adults and 2 kids. 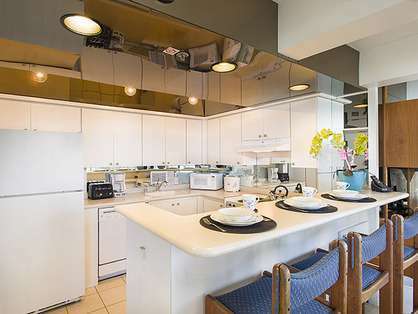 The unit has a good kitchen so you don't need to eat out all the time and a great Fridge and freezer. 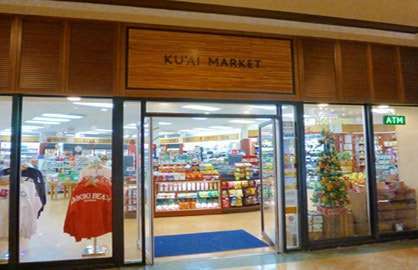 Ala Moana shopping centre and supermarket is 500 mtrs up the road and the supermarket is quite cheap so you can stock the kitchen at a good price. My best recommendation is that I would stay there again. 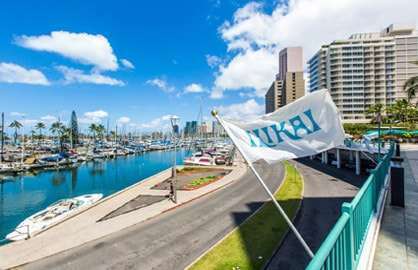 We recently stayed in Ilikai Unit 1126. 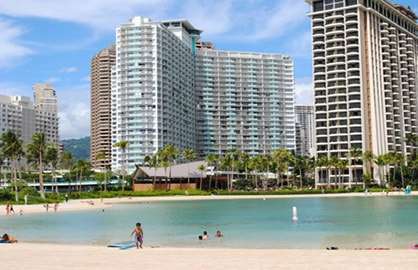 It was a great apartment, great views, comfortable living accommodation and handy for everything we wanted to do: less than 10 mins to Ala Moana, 2 mins to the beach, tour pick-ups from right outside and the pool, wee shop and other amenities in the Ilikai were handy too. This apartment had everything we needed, and the location was just right. We?ll definitely be back. Thank you. 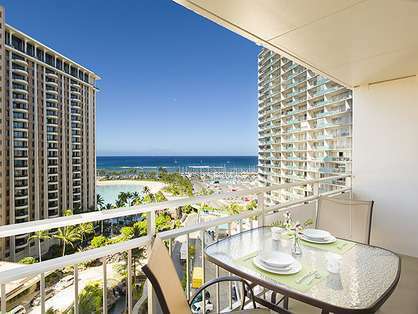 Ilikai unit 1126 was a great rental. 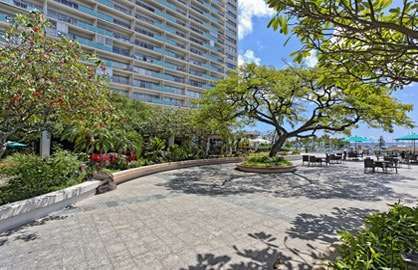 It has a great view from the lanai,and is in a great location. The kitchen is well stocked with dishes, pots, etc. I was there with three women, so the second bathroom was a major plus. Overall it was a great place to stay. 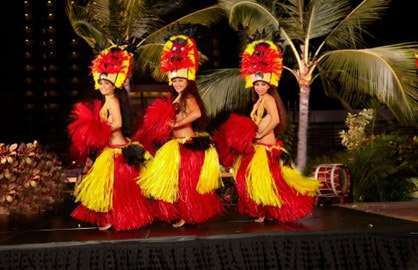 Just had a lovely 10 nites in Ilikai unit 1926. 5 adults could easily be accomodated. 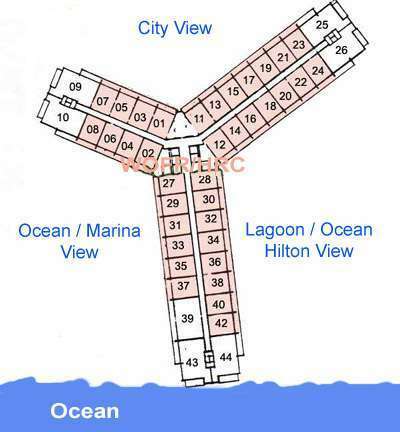 Being a corner unit we had 2 balcony's one with the awesome sea views and the other with city views. 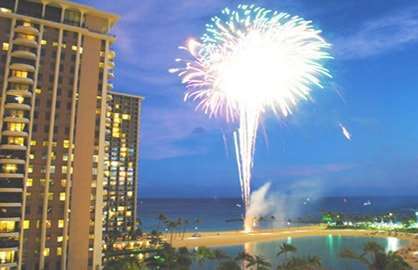 Also had the best seat in the house for the Hilton Hotel Luau across the road with a birds eye view of the whole show every nite that it was on. 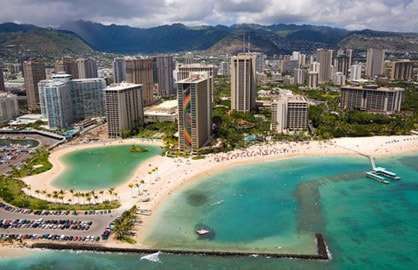 The unit was exactly as described on the web site and we would have no hesitation in booking again for future visits to Hawaii. 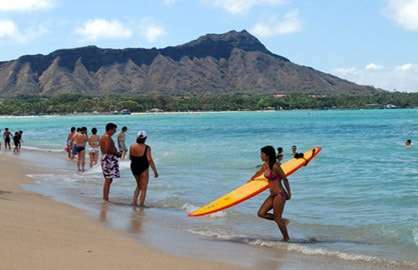 The beach is only a five minute walk away, Ala Mona shopping centre about a ten minute walk away and the sights and sounds of Waikiki about a fifteen minute walk away. It really is an island paradise. We had a fabulous holiday. 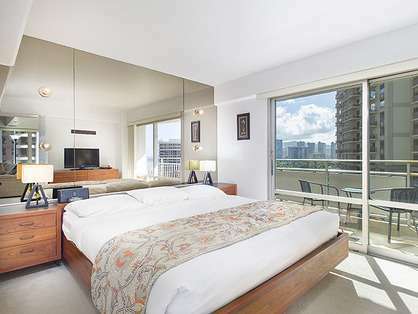 The Illikai was perfectly positioned for us - at the quieter end of Waikiki, close to Ala Moana and easy walking into Waikiki central. The unit itself was terrific, well equipped with everything we could possibly need and plenty of space of a family of 2 adults and 2 teenagers. We would never stay in a hotel room again. 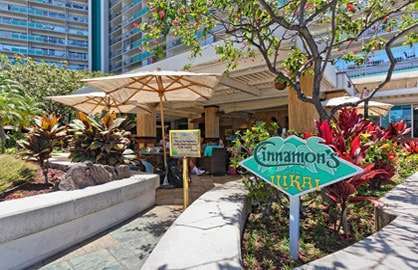 The Illikai Bar and Grill was great too - good food, well priced drinks, great friendly staff. The coffee shop also made great coffee - the best we had whilst there. Thank you for contributing to our wonderful holiday. 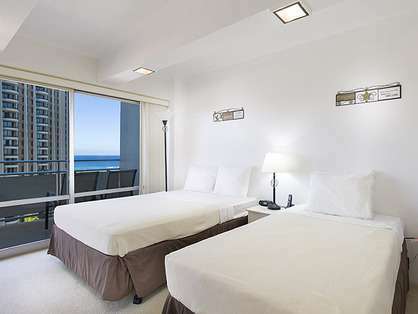 We look forward to returning soon and would definitely recommend unit 1126 and Waikiki Beach Rentals to our family and friends. Mahalo!! 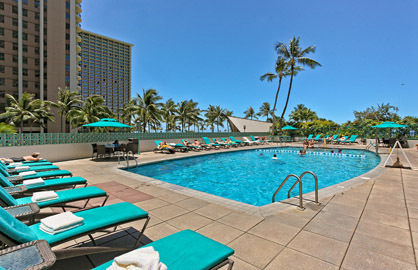 Thank you For a wonderful stay in Waikiki. 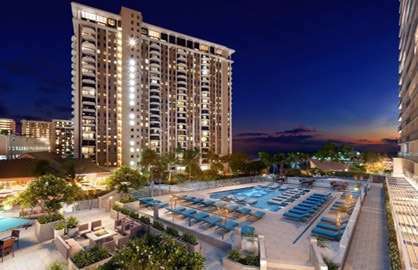 No 1126, Illikae Apartments was the best place to stay. 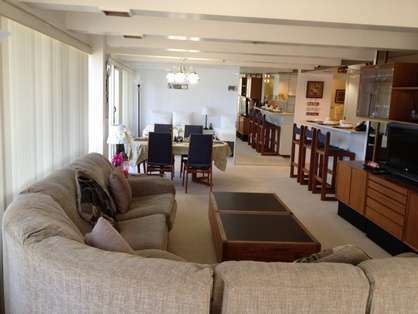 We had wonderful views, walking distance to everything, and big and comfortable enough for a grown up family of 4. The apartment was tastefully decorated, and the beds very comfy. 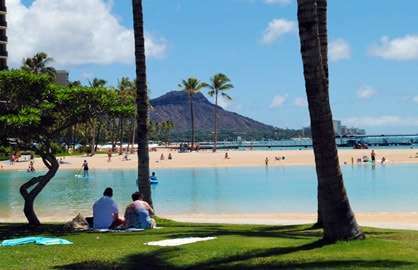 We will definitely stay there again if we ever return to Waikiki.